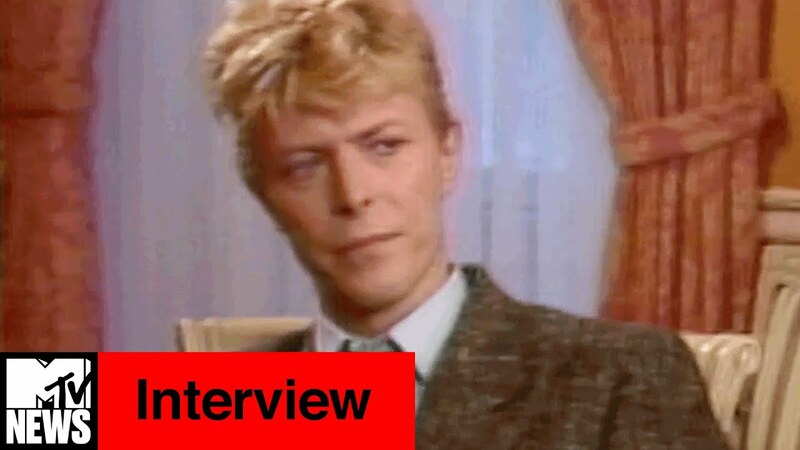 The throwback interview from 1983 sees Bowie challenging MTV's music policy. Today marks two years since David Bowie sadly passed away, aged 69, after losing a private battle with cancer. His genius has especially been celebrated over the past week, with throwback clips and previously unheard demos. But, if there was ever an example of David Bowie's status as a visionary, it's this video: MTV News reposted a clip of the star questioning their lack of black artists back in 1983, and it's completely brilliant. In the video, Bowie - who is being interviewed by MTV's Mark Goodman - turns the tables by saying: "I'd like to ask you something," before adding: "I'm just floored by the fact that there are so few black artists on it [MTV]. Why is that?" In a four minute response Mark Goodman tries to explain the channel's music policy, but Bowie as ever completely schools him, while being as charming and as witty as ever. Watch the video and Bowie's amazing response above. David Bowie has long-championed black music, writing his Young American's album as an ode to soul. He also appeared on Soul Train various times, performing the likes of his funk-laden Golden Years track, from his Station To Station LP. And just in case you're in any doubt over whether the star's incredible foresight and genius lasted throughout the years, here's an interview with Jeremy Paxman in 1999, where Bowie seems to predict the rise of internet stars.